The seafood restaurant was required to suspend its business and an investigation has been launched into the case. A seafood restaurant in Sanya has been ordered to suspend its business and rectify for cheating and overcharging customers during the Spring Festival Golden Week, reports hinews.cn. A netizen whose friend visited Sanya during the Spring Festival holiday posted a microblog on Sina Weibo (a twitter-like sevice in China) on 28th Jan, complaining that his friend and family were overcharged by a seafood restaurant in Sanya Bay. They were charged for RMB4, 000 for three dishes. 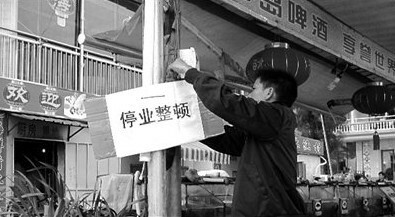 The microblog was forwarded by netizens for more than 40,000 times and triggered heated debate on the internet. On 29th Jan, relevant departments of Sanya responded to the matter and launched an investigation into the case. The seafood restaurant has been suspended business and its business license would be revoked if the case was found to be true.